There you are, comfortably ensconced in your dentist’s chair when the hygienist shows up. As you may expect the hygienist is going to be the one to clean your teeth, but they aren’t just going to dive in. 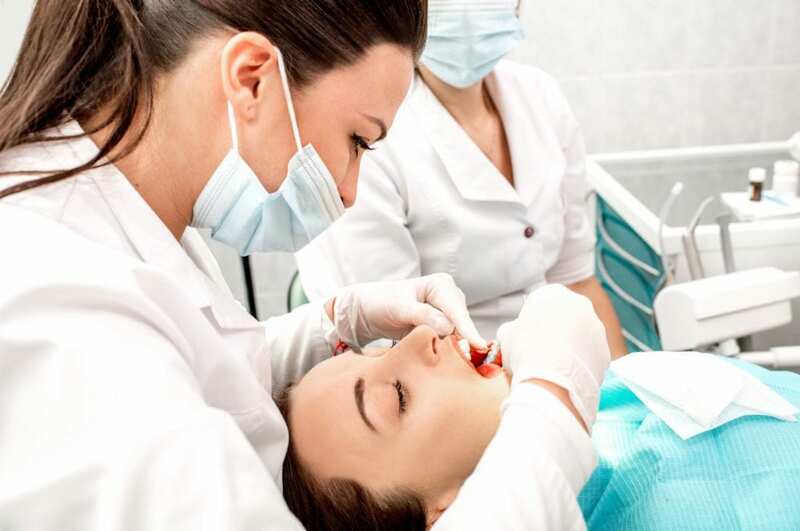 They’ll start by doing a thorough examination of your whole mouth, checking for gingivitis and periodontitis or anything else that may seem out of place. Based on what they observe they may request permission from the dentist to proceed with the cleaning. Plaque, as you may know, is that filmy and somewhat sticky substance that builds up on the surfaces of our teeth. If not cleaned thoroughly or often enough a hard layer of tartar will form under the plaque, and you can’t get that off with simple brushing and flossing. Using a tool called a scaler, your hygienist will dive in and start removing tartar from your teeth until they’re clean and free of it. Once free of tartar your dentist is going to dive into your teeth and start power-cleaning them with a special toothbrush and high-grit toothpaste. While the toothpaste they use isn’t going to taste any better or worse than your usual toothpaste, it is going to be notably grittier to better clean and polish your teeth. This kind of tooth polishing is safe if performed by a dentist and no more than twice a year, but don’t try it at home. Even if you’re meticulous about your flossing, there’s something about having it done by a professional that guarantees all the most difficult spots are going to be hit and cleared of debris. Due to the thoroughness of this flossing session, it’s likely your dentist is going to hit places you typically miss and you may see some blood as a result. After thoroughly rinsing your mouth out you’ll get a pair of trays with a flavored gel inside to ensure that your teeth get sufficient fluoride. The good news is you get to pick what flavor you want, and it’ll only be on there for a minute, after which you’ll be able to rinse out your mouth and get on your way! There you have it, a quick and easy guide to what’s going to happen during your teeth cleaning. If it’s been a while since you’ve seen a dentist or you’re new to the Aliso Viejo, CA area, then call to make an appointment with Dr. Duc Pham at Premier Dental of South Orange County today!